The tee shot makes this hole a special one. Out of bounds on the left hand side runs down the complete length of this hole. 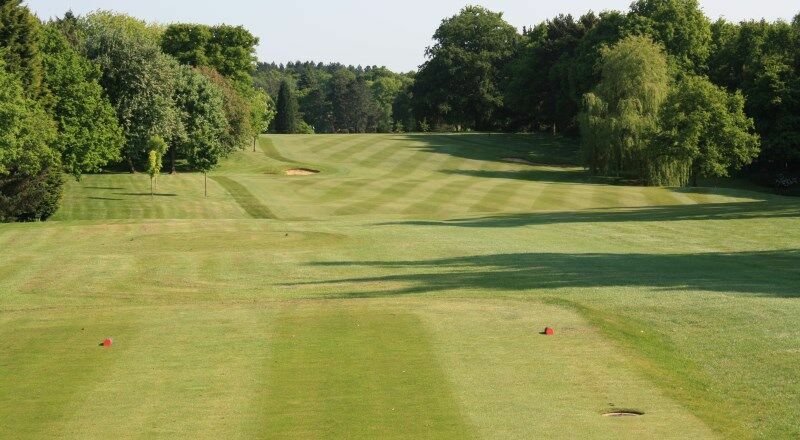 To add to the challenge the well bunkered fairway slopes gently to the right down towards a beautiful pond that will catch the wayward shot. Avoid this and after a good second shot you have a short pitch to green which slopes away from you, so finishing close to the flag is not easy. 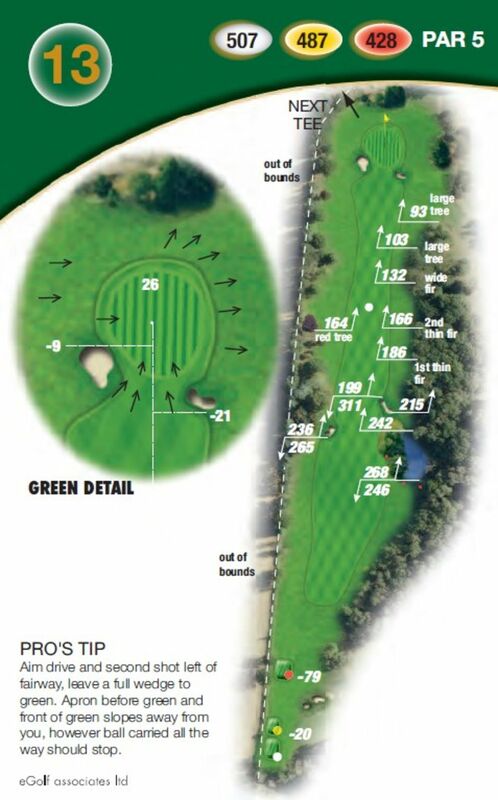 Aim to place your drive and second shot on the left half of the fairway and leave a full pitch to the green. The apron and green slope away from you, however a ball carried all the way will stop.